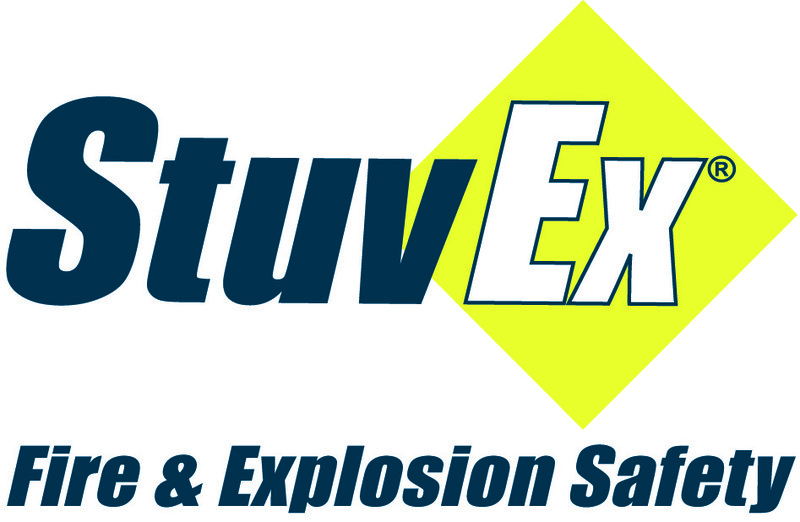 NOREX is an economic, ATEX certified explosion isolation valve, just launched by StuvEx, which can be fitted to pipework from 160mm to 1,000mm diameter. Unfortunately, an explosion is rarely limited to a single element or process. Even when all the normal protective measures such as the installation of explosion vents have been made, an explosion can spread through filter inlet ductwork with potentially disastrous consequences. The NOREX isolation valve effectively stops an explosion from spreading any further. It works very simply. Air flow keeps a damper blade in the open position during normal working conditions. Once the process has stopped, air flow ceases and the blade falls to the closed position. In the event of an explosion, the airflow is immediately reversed by the increase in air pressure. The damper blade closes and is restrained in its closed position by a latching mechanism thereby stopping the propagation of the explosion. The NOREX Explosion Isolation valve complies with the latest standard EN15089 Explosion Isolation Systems. For more information please contact Steve Bell on 01932 571303.